In our eleventh “ I AM A Mainframer” interview series, Jeffrey Frey, Retired IBM Fellow, chats with Jin VanStee. Jin VanStee, Transformation Architect and Blockchain Lead NA z Systems Technical Sales, IBM. Jeff and Jin discuss innovation and how it applies to the mainframe Industry. Jin, also talks about how Blockchain and its role in the mainframe environment. 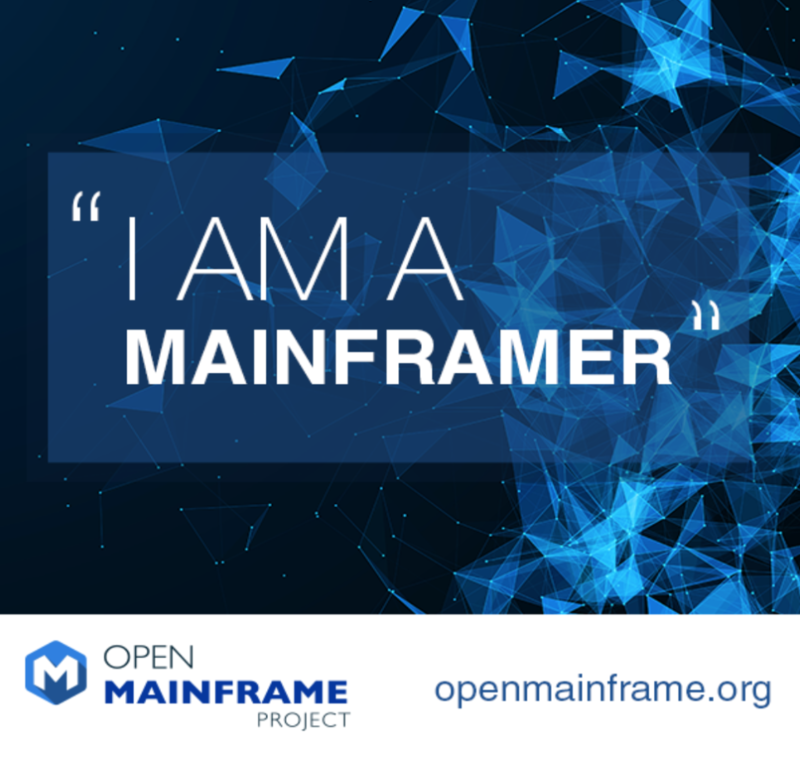 Jeff Fry: Welcome to another edition of I am a Mainframer, conversation series, sponsored by the Open Mainframe Project. I’m Jeff Fry, a retired IBM’er, an IBM fellow and previously the CTO of IBM’s mainframe platform. So I’m a long time mainframe enthusiast. It’s my pleasure to host the mainframe conversation series today. Before we get started, maybe I can tell you a little bit about the Open Mainframe Project. As the Linux Foundation collaborative project, the OMP is intended to help create a mainframe focused, open source techno community. It’s also intended to serve as a focal point for the development and use of Enterprise Linux in a mainframe environment. The goal of the project is to excite Linux community around the use of the mainframe and to foster collaboration across the mainframe community to develop and exploit shared Linux tool sets, resources, and services in the mainframe environment. In addition, the project seeks to involve the participation of academic institutions to help in assisting and creating educational programs and developing the next generation of mainframe Linux engineers and developers of tomorrow. So for today’s conversation, we have the pleasure of speaking with Jin VanStee. Jin is a transformation architect and block chain leader for North America’s Z Technical Sales. She is currently working on transformative projects that bridge new capabilities with the mature and classic strengths of the system Z platform. Jin earned her stripes, as it were, conducting mainframe systems and integration tasks that IBM, Poughkeepsie, the IBM Poughkeepsie facility, and has since had numerous jobs in mainframe and technical sales. Jin, welcome to the broadcast, it’s great to have you on today. Jin VanStee: Thank you, thank you Jeff. I’m happy to be here. Jeff Fry: So in order to get started why don’t you tell us a little bit about what you do as a transformation architect and maybe give us some background on your career and how you got into the mainframe. Jin VanStee: Sure. I think I’ll start with how I got started first. I came straight out of college working for IBM Poughkeepsie, so I’m I guess what you would call a career IBM’er. I’ve been at IBM for, I think, 16 years now. It was interesting because I think back then, the 2000’s, the dot com boom was kind of happening and in college I’d never heard of the mainframe. Then when I was getting interviewed at IBM Poughkeepsie, I had three interviews and they were all on the mainframe. And I remember distinctly, what is this technology, it’s obviously very important because this is all I’ve been interviewing for. And from the interviews, I can gather we have some many clients, or IBM has a lot of clients, that depend on this technology. So I ended up taking a job that was a JAVA system tester on a mainframe because I was like well I know JAVA from what I learned in school, and this would be a good way for me to bridge what I already know and learn something new. And from there I got into a few different areas, security, crypto testing, and then into the next integration test. And that was an area that exposed me to the Linux world, as well as different client workloads that can run on a mainframe. Especially on Linux on Z. So it was very interesting and then I went to the field cause I wanted to deal more with, see what clients are doing, with our technology and that opens a whole different set of doors. And I’ve been doing that ever since. I did mainframe, I did software technical selling specifically, I went back to the mainframe. It’s a very tight knit community and I love it. And it’s, there’s always, constantly, something new to learn and that’s what I love about it. Jeff Fry: Yeah, you know that’s what I love about it too. You and I have a lot in common here. How bout the transformative, transformation architect stuff? Jin VanStee: Yeah so that’s somewhere … about two years ago, Mara Wallis, she’s the North America Z Tech Sales Executive, approached me about this role of transformation leader, transformation architect. And what that is is it’s kind of two fold. One is looking at how we can transform the way we do technical sales but using data and analytics, right? And that part was very new to me so there was a learning curve to come up to speed with that but during that process I came to see how valuable data can be, right? Why do we need it? And why is analytics important, and how we can use that to predict behavior. And the other aspect is transforming the way we work with clients to solve problems. Traditionally, what have we been doing from a technical sales standpoint, as we do a lot of briefings and presentations and what not, right? But I think more and more so, we’re coming into a place where we want to show the clients what it’s all about, right? And that is not just a change in behavior, but a change in engagement, a change in the way we build our skills, right? And we’re hoping that with these two transformations we can be more engaged with the mainframe around, or with the clients around that mainframe, make sure they see the value of the mainframe, and kind of grow the platform from there. Jeff Fry: Very cool, very cool. You know, you’re one the folks who … you mentioned when you came into this but you had no real experience, out of school with the mainframe, and that is fairly typical, I think, for a lot of people coming into the workplace, when they first come in. And it’s very interesting that you were able to find aspects of the mainframe that were supportive and consistent with new technologies and new programming techniques and new environments that you had known coming out of school, JAVA and Linux being two of those in particular. I think there’s a lot of folks who still have an archaic perception of the mainframe and it’s capability. And as you said, I think your job puts you in a great position to marry new approaches, new technologies in big data, in analytics, in cloud, Linux itself, new ways of doing development, the whole DevOps kind of movement. And I think that there are not as many people as there should be, that really appreciate the value that the mainframe can bring in all of these different environments. Jin VanStee: Right. You’re right. And that brings up a good point, I think. Part of what we all do is we’re kind of Mainframers evangelizing for the platform. Sometimes I feel like we are the underdogs in some ways, right? But what I think that some people don’t realize is the mainframe does drive a lot of the core business of our clients. Behind the scenes you’re not seeing it, but it is … without it, the clients can’t run their business. And I’ve heard things like … people are saying … but I think people, fundamentally, understand it, I think our clients understand why they depend on the platform. But once in a while you’ll hear things, like with every new technology that comes out, I think Blockchain is one of them, I’ve heard on a Blockchain podcast recently someone’s like “Well, Blockchain, they’re not there yet with the transaction rates.” It’s slow, right? But they’re like “In the future, do you see that Blockchain can replace core transactions, a system?” And the people that they were interviewing were like “No, it’s not, that’s not what it’s meant to do and guess what? Hey the core transaction assistant, they work very well.” They’re super reliable, they’re scalable, they work well, they’ve worked well for tons of years and they’re gonna continue to be what’s driving the clients business, moving forward. Jeff Fry: That’s very insightful. I think that when you study systems that are capable of processing, literally, thousands of transactions a second, in environments like the financial sector, banks, insurance companies, stock market trading systems, etc. there’s really nothing like this platform. And part of it isn’t just it’s scale, and capacity, and performance, but it’s reliability and security. And some of those qualities of service that make the mainframe a valuable part of the IT industry. And so you mentioned Blockchain. Tell us a little bit about, for those who don’t know what Blockchain is, tell us a little bit about Blockchain and how you see Blockchain, how you see the mainframe’s role in that environment. Jin VanStee: Sure. So I think most people come into blockchain through hearing about Bitcoin. So Bitcoin’s a crypto currency, unregulated crypto currency, and it’s basically an application of the Blockchain. So Blockchain, what it is is it’s a distributed ledger that’s shared or distributed among participants in a business network and the key tenant of a Blockchain is that commutable, it’s final, and it engenders trust. And I think that is the part that is very novel. Because you don’t need a third party to facilitate trust, in essence. Like Bitcoin, which is the crypto currency, there’s no central bank controlling this currency, there’s no Fed Reserve printing out more crypto currencies, right? It’s a public, or all permissions Blockchain, meaning anybody can join but you trust that your money is going to the person that you want it to go to. And there’s no problems of double spending and that it’s highly secure because everything’s hashed and there’s cryptography involved. So that’s kind of the view. Now, there’s another view of Blockchain, right, which is this permissioned idea of a permissioned Blockchain, and that’s what, I think, IBM and a lot of enterprises are interested in. Which is, you do know the parties that are within your business network, you know who the other parties are, you know who you’re dealing with. And every party in this business network have a shared interest in something. And that shared interest is this ledger. Yeah and it’s very interesting, because when IBM looked at this technology, obviously, I think most people understand … if they don’t believe in Bitcoin, they understand that the technology underneath can have a big impact, in transforming businesses, business models, in all industries. And when IBM looked at it, we thought, well a lot of our enterprise clients they deal with other third parties, other organizations that they know who those organizations are, yet they each keep some kind of a separate ledger, and it takes a lot of time to reconcile those ledgers. So Blockchain can come into play for that, right? And when IBM looked at it, they thought well what’s gonna differentiate our Blockchain offering from other peoples Blockchain offering? And IBM thought well the mainframe. So the Blockchain platform, which is our cloud, public, washing for service offering, right? It packages, not just the Blockchain, you can run your business network on our Blockchain, but it also provides dashboards for governance, for operating this Blockchain. Cause running a Blockchain is 5% of the story. You got to be able to govern it across all these different entities, that may not trust each other. You have to operate this Blockchain network and they decided to do it, to post this on a mainframe. It’s running on Linux 1 in the background. Because if you don’t … it’s all about trust, right? Instead of placing your trust in a third party, you’re placing your trust in a Blockchain. And what better platform to do this on than the mainframe, right? Because of its security capabilities. Jeff Fry: Yeah, especially with the new offerings with the crypto support kind of end to end now. The mainframe keeps delivering technologies to support these new environments and that’s something I really want to stress with these conversation series discussions, is that this platform has an amazing ability to evolve and to adopt new stuff and new technologies and run it extremely well with all of the classic strengths of security and availability, and the ability to manage large, complex IT environments. And this is just another example, whether it’s analytics, or service utility models in the cloud, or new ways of doing business transformation, and Blockchain and distributed ledger, etc. You know, mainframe can do all of this stuff, right? And do it well, and do it secure, and do it cost effectively. Jeff Fry: So it’s just a great example Jin. Let me switch topics here, I think we’re getting short on time here. It’s been great speaking with you. Let me ask you if you might have any advice to give other women working in the IT industry today? Jin VanStee: Sure. And that’s another topic that’s close to my heart. I think that there are not a lot of women in IT industry. Obviously, I think we are … there’s movements in industry to try to change that. There’s things like Girls That Code, and these stem programs, and I think IBM is doing a lot of work working with the community on encouraging stem careers for young girls. But as a woman in the IT industry, the advice I would give is stay the course. Be true to yourself, be a constant learner and be very curious about what’s going on. And just don’t be afraid to sit at the table and engage. I think I do see the millennial women that are come out, I think they are more outspoken, in terms of pursuing what they want and going after the opportunity that you think would be good for you. And don’t be afraid to change course either, that’s my other advice. Especially in today’s world with IT. There’s so many different areas that you can go in to and in order to, I think for me at least, in order for me to be engaged in stay motivated and inspired, I had to work on something new every couple years. And if that’s what makes yo tick, go for it. And I think sometimes, and I’ve heard some people say this, do what makes you curious. And if that’s all you do, for your career, is work on things that make you curious, that peak your interest, that motivates and inspires you, that’s a pretty good career. And from an IT standpoint, right, there’s so many new things to work on. Its very interesting. I would say get your hands dirty, tinker with technology. And I think if that’s what makes you tick, do that, right? And if talking to people, working with people, if that’s what makes you tick, you can pursue careers. There’s IT careers that will expose you to working with people, like the one I’m in now, technical sales. And I think you can do the best of both worlds, you can tinker a little bit, and then present and work with people. But I would just say stay the course and definitely sit at the table. Don’t be afraid to go after the things that you want. And the other aspect is, I had two kids in my career, with IBM. And IBM has been very great about supporting parental leave and they’ve actually increased that to 20 weeks, recently, for paid parental leave, which is amazing. But one thing I’ve read is, don’t back away from an opportunity for the element of that coming up you know you’re going to start a family or you want a family in the future. You have time to plan for that. I actually took this role after I found out I was pregnant. And I thought, I’m gonna do it, I have nine months to prepare, I have nine months to learn this new job. Jin VanStee: And that’s what I did. And the managers, which are supportive, I still took my leave and I came back and I’m back at it. I’m more motivated than ever. So definitely just sit at the table and engage. And things will work out. But you do have to give yourself a chance. Jeff Fry: Wow. I don’t think anybody could’ve said that better. I certainly have nothing to add to that. Jin, thank you, very much, for the great conversation today. It was truly my pleasure speaking with you. And if there’s nothing else, I think we’ll call this call done and hopefully, everyone you’ll join us on the next conversation we have. So for now, thank you very much and thank you Jin, really appreciate it. Jin VanStee: Thank you Jeff.